Located in Gilbert, Arizona, one of the fastest growing communities in America, SanTan Village, blends retail, office, entertainment and other commercial uses to create a vibrant, sustainable, live-work-shop experience. With more than a dozen traditional indoor malls sprinkled around Metropolitan Phoenix, SanTan Village breaks the mold in retail design, being the first and largest center of its kind in Arizona with an all outdoor regional retail center highlighted by department stores and an indoor food court. 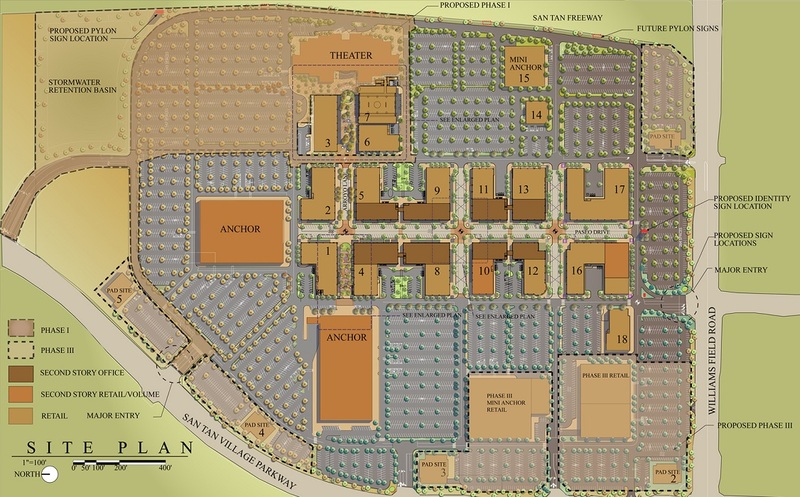 SanTan Village is designed for further densification of hotel, office, additional retail and supporting parking garages.